It’s when customers lead the design of your business processes, products, services, and business models. It’s when customers roll up their sleeves to co-design their products and your business. It’s when customers attract other customers to build a vital customer-centric ecosystem around your products and services. The good news is that customer-led innovation is one of the most predictably successful innovation processes. The bad news is that many managers and executives don’t yet believe in it. Today, that’s their loss. Ultimately, it may be their downfall. Eric von Hippel coined the term "lead users" to describe a group of both customers and non-customers who are passionate about getting certain things accomplished. They may not know or care about the products or services you offer. But they do care about their project or need. Lead users have already explored innovative ways to get things done. They're usually willing to share their approaches with others. I use the term "lead customers" to describe the small percentage of your current customers who are truly innovative. These may not be your most vocal customers, your most profitable customers, or your largest customers. But they are the customers who care deeply about the way in which your products or services could help them achieve something they care about. We’ve spent the last 25 years identifying, interviewing, selecting, and grouping customers together to participate in our Customer Scenario® Mapping sessions. Over the years, we’ve learned how to identify the people who will contribute the most to a customer co-design session. These are the same kinds of people you should be recruiting when you set out to harness customer-led innovation. HOW DO YOU WIN IN INNOVATION? You no longer win by having the smartest engineers and scientists; you win by having the smartest customers! In more than 25 years of business strategy consulting, we’ve found that customer co-design is a woefully under-used capability. Get the Ronni's Total CX Blog widget and many other great free widgets at Widgetbox! 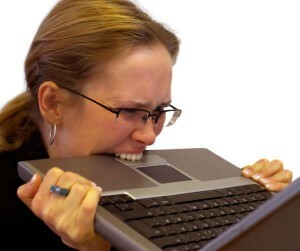 What are the Top 12 Things that Annoy Your Business Customers? I thought you might like to know about the current Moments of Truth that keep emerging as we work with business customers to co-design their ideal customer experiences in a wide variety of industries, with quite different products and services—from software to information, from analysis to capital equipment, from professional services to office or manufacturing supplies. In a business account, you’re dealing with customers in different roles throughout your relationship with the people in the account. When you’re in the pre-sales mode, you’re working with key influencers and decision-makers, and occasionally, expert end-users. Once customers are using your products and/or services, you’re providing training and support to help end-users better understand and leverage these tools and to help them troubleshoot, solve problems, and avoid future problems. When contracts are up for renewal, or the products need to be refreshed, or the customers’ needs change, you will probably be dealing, once again, with key influencers and decision-makers, but these may be different folks than the ones you started out with—now you’re dealing with the people whose jobs rely most on your products and services. Across the entire customer lifecycle, and across different customer roles, we’ve identified a dozen customer-critical issues. We call these “moments of truth” because the quality of the experience you provide at each one is highly likely to make or break your entire account relationship. We can’t get access to your experts pre-sales! We can't test drive for free! I can’t get a timely, firm quote! I can’t convince others that this is a good solution for us! It's too hard to integrate! It's too hard for our users to adopt! We can’t get quick help from experienced users! Your support reps don’t know MY situation! We can’t see how well we’re doing in using your tools to get things done! We can’t convey the benefits clearly enough to get continued support! It's too hard to true up new and existing contracts! It's too hard to cancel! Think again. These moments of truth wouldn’t be showing up over and over again across multiple industries serving business customers if they weren’t occurring fairly often. 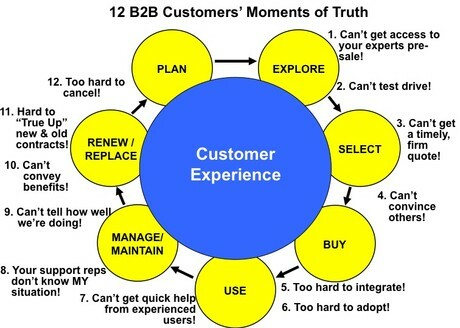 In my recently published article, The Top 12 Issues for B2B CX, I take you through all twelve of these customer showstoppers and give you the current set of customer expectations for how business customers want you to perform on each one. You'll learn why these are customer-critical issues; what you can do about them; what customers will consider a successful resolution for each; and how you could experiment with CX improvements and monitor whether these improvements actually make a difference to your bottom line. My two favorite Moments of Truth are 9 & 10--knowing how well we're doing and being able to articulate the benefits of using this product or service. Whether your customers are monitoring the efficiency of their power plants, or the ROI their customers are earning on their invested assets, or how much more quickly they can provision new telephones for customers, they all want to see that feedback in near realtime. Your products and services need to be constantly (but not annoyingly) in their faces with analytics and feedback that show users what benefits they've gained: what near misses they've avoided, how much time they’ve saved, what quality improvements they’ve gained, and so on. These benefits statements should be part of their normal operation. These are not reports that are sent to a select few people. 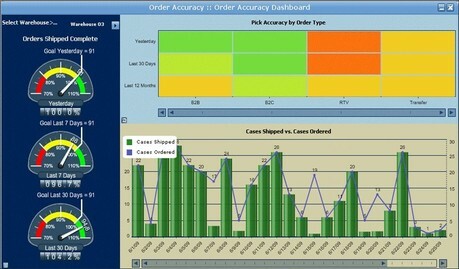 You should be providing statistics and feedback that are visible to all users as they go about their daily activities. Basically, you want to make it easy for any user to see the status of how well your solution is performing for them compared to the results that other users are getting both a) within their own organization, and b) within organizations similar to theirs. If users don’t see, or don’t understand, or can’t communicate the benefits and utilization statistics for your solution in their operation, you’ll be at a severe disadvantage when it comes time to renew or upgrade. What about the last Moment of Truth: It's too hard to cancel? It seems counter-intuitive, but you actually increase your referrals if you make it easy for a customer to cancel his contract with you. If customers have to jump through too many hoops to discontinue your service and be subjected to exit interviews and upsell attempts, they will never recommend your firm to their colleagues. Situations change. Other suppliers may win business away from you. Make it easy for customers to cancel/discontinue your service and you’ll be surprised by how many of them will refer you to others and come back to you when the need arises or when they move on to a different organization. You want your last customer encounter to be a really pleasant one. Here's a link to the article. Subscribers to our Customers.com Strategies service or to our Customers.com Technologies service can login and download the full article. 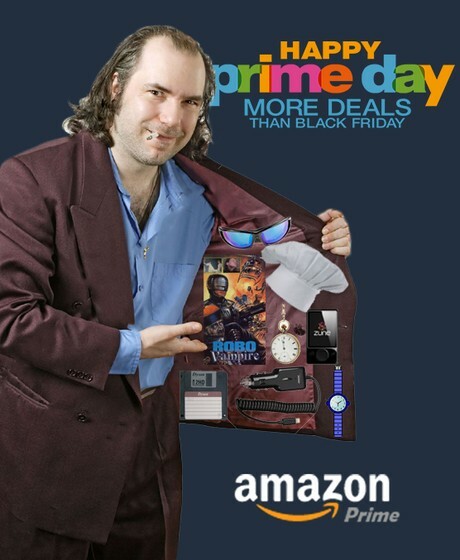 Amazon Prime Day, which celebrated the 20th anniversary of the Prime members’ program on July 15, 2015, has taken a lot of flack as a bad customer experience, based on negative tweets and members’ frustration about the quality, availability, and accessibility of the items featured in the sale. However, we suspect that the first annual “Prime Day” yielded the two major results that Amazon intended. It attracted many new Prime members. It gave Amazon and its retail partners an opportunity to stress test its infrastructure before the 2015 holiday season. How many Prime Users are there? The estimates for the number of Prime members globally range from 50 to 60 million. 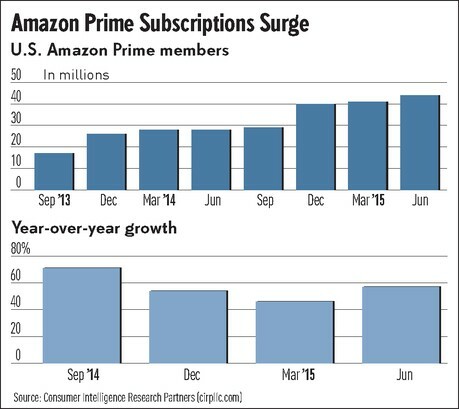 Amazon does not divulge the number of its Amazon Prime members; that official number remains elusive. 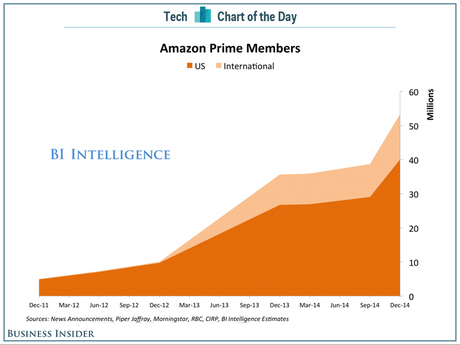 Business Insider's estimates of the number of Amazon Prime members as of December 2014 is about 53 million. CIRP put the total number of Amazon Prime users at 43 million before Prime Day. Note the second quarter increase in year over year domestic growth. These estimates do not include the "several hundred thousand" new Prime Trial members acquired on Prime Day. “Amazon Prime membership fees are allocated between product sales and service sales and amortized over the life of the membership, according to the estimated delivery of services." The mid-July boost in $99/year Prime memberships by featuring a “members-only” sale and encouraging trial membership is a good strategy. However, due to the way it was structured--around Flash Deals--Prime Day attracted primarily bargain hunters rather than long-time, loyal customers. The other infrastructure Amazon was stress testing was its “Fullfillment by Amazon (FBA)” service. Prime Day gave retailers an ability to test out Amazon’s fulfillment chops before the make or break holiday season. Retailers have to nail down their e-commerce and fulfillment infrastructure by the end of July in order to be ready for the November/December retail holiday shopping season. 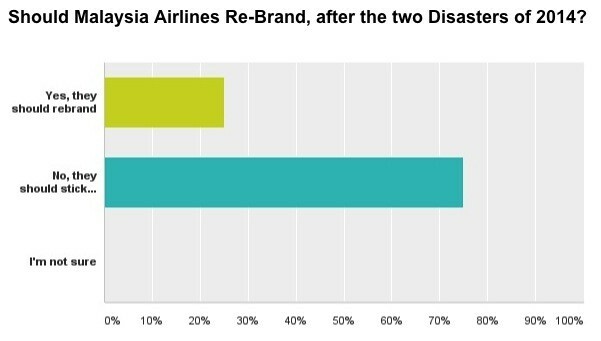 On May 15th 2015, we wrote about the fact that Malaysia Airlines had just rolled out a new social marketing platform when disaster struck twice: two major airline disasters within four months. Given the arrival of a new "turnaround" CEO and major restructuring at the government-owned airline, we wondered out loud whether it would be better to keep the MAS Malaysia Airlines brand that had weathered these or to rebrand entirely? Thanks to all of you who participated in our straw poll via survey (and the survey is still open, if you haven't yet weighed in). Of the people who took the time to vote -- all of you are "customer-centric execs" with an average of 15 years of experience in marketing, customer experience, or customer-impacting technologies -- a whopping 75% of you said you thought that Malaysia Airlines should preserve its brand, despite the shadow of fear that still surrounds it. As you can see, your collective advice is quite clear: Malaysia Airlines should retain its brand image. Here are some of the more interesting comments some of you entered in response to the question: "Why did you vote that way?" Why some think Malaysia Airlines SHOULD ReBrand? "The brand does not instill faith in safety or compliance, regardless of the factors behind last year's two incidents. The #staystrong reinforces their troubles and keeps it top of mind." "Coke and Pepsi aren't known for negative events." "They should only rebrand if they are not able to go by the company promise "#fly high" and "#stay strong". It is an enviable position to let the world know those claims are not empty words. Do not let go of this opportunity!!" 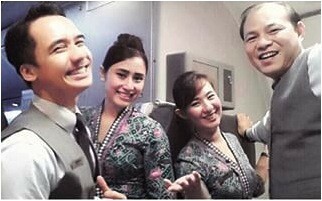 "Everyone who flies with MAS knows Malaysia Airlines. (Including me)." "It may be a tough slog, but it emphasizes the resiliency of the Malaysian people." "In the end nothing changes. It will always remain the national airline of Malaysia." "The events that happened last year were a true tragedy. In my opinion MA did not walk away from its responsibillity, and was modest enough to ask for help from the authorities. The event had nothing to do with bad operations. Negative feedback from individuals who have tried to influence public opinion are the cause of all the negativity that is bothering your company. I personally have experienced this, not to the extent you have. Keep your heads up and see the phoenix rise again!" "Think about the value of the brand internally and externally to customers and stakeholders such as Malaysians. Be careful not to measure brand too far outside your target audience." "Unfortunately there will be air disasters in the future - would this mean that every airline rebrands?" "People always respect and value the message of a successful turnaround story, especially if it restates and rebuilds core values, and significant difficulties are seen to be overcome. Changing the name is like running away or distancing yourself from your original core values." 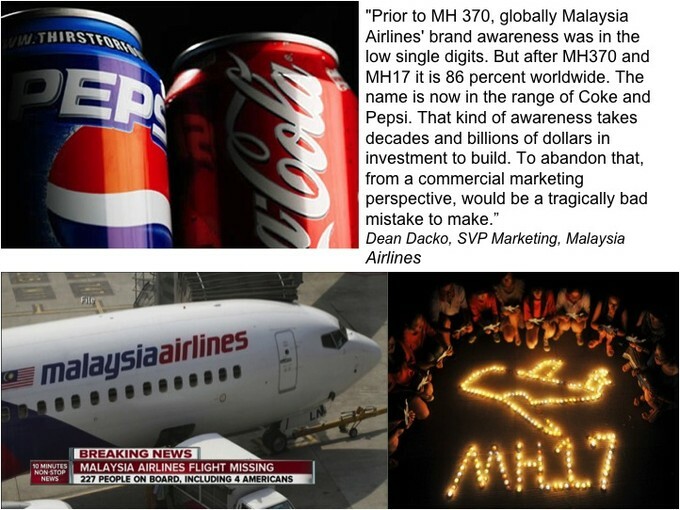 "Malaysia Airlines has strong brand recognition. They provided strong support for the victims. It's a rare case of a company doing the right thing for the right (moral) reasons. It's a great customer-centric storyline!" "It's a strong brand; one of the best airlines there is. Be transparent and come out of this crisis stronger!" Thanks for your comments and thoughts, please keep them coming! Can You Help with Malaysia Airlines' Marketing Challenge? Over the last two decades, when working with financial services firms and their end-customers, we invariably encounter a common Customer Scenario: "I don't have enough money to pay for an unforeseen expense." Oddly enough, It doesn't matter how affluent the customers are. They may still have to scramble to pay for a kid's car repair, a large medical bill, or any unexpected large expense. Of course, we're all supposed to have a rainy day fund — savings accounts or liquid investments we can draw upon in the case of emergencies — but people are invariably caught short, and it's very stressful. Most financial services firms profit from this customer "Moment of Truth" by extending lines of credit on maxed out credit cards, providing short-term loans (often backed by home equity), or offering payday loans. One enlightened bank president had another idea--which he came up with in one of our Customer Scenario Mapping customer co-design sessions with middle-income parents: a "Life's Exceptions" account. This was a quickly-triggered rainy day fund that automatically moved money from savings to checking and added quick access to a pre-approved-for-all-existing-customers' low-interest loan, if necessary, to make up the difference. Triggering a "Life Exception" generated a budgeting/cash flow management application that would automagically appear to help the couple repay the emergency money they had needed. The budget and proposed repayment plan would be pre-populated based on the customers' income and expense history (even if they weren't already using a budgeting or cashflow management tool). For a variety of reasons, the bank chose not to implement this innovative idea that their customers and their execs co-designed almost 10 years ago. Too bad. What caught my attention this week was a write-up about a soon to be launched mobile app, called Even. It's designed to help people who have a reliable source of income, but uneven cashflow. So, for example, people who work at Starbucks or at another retailer that varies workers' hours every week. People know they'll be working, but they don't know exactly when they'll be working or how much pay they'll receive each week. This is a common problem for a growing percentage of the global workforce. Where do you Stand in your Digital Marketing Maturity Model? Interacting with customers who use mobile devices as their most common tool, who search to find information dozens of times a day, and who expect immediate answers to questions and swift problem resolution via text messaging as well as phone or online chats is a huge challenge. For one financial services firm, Suncorp Group, with over 9 million customers in Australia and New Zealand, there's an additional challenge. The company has many different insurance and financial services products lines, at least 15 different brands, and many business units. Establish a Digital Marketing Maturity model and assess each marketing organization on where they are, so they can all move together to the next level. Whatever business you’re in; your customers are changing. They’re getting younger or older. Their expectations and experience levels are different than those of the customers you had five years ago. That means that the customer experience you designed (or inherited) five years ago is probably clunky and inappropriate. The end-to-end customer experience you should be delivering today (and next year) may be vastly different than the one you have. That’s the bad news. 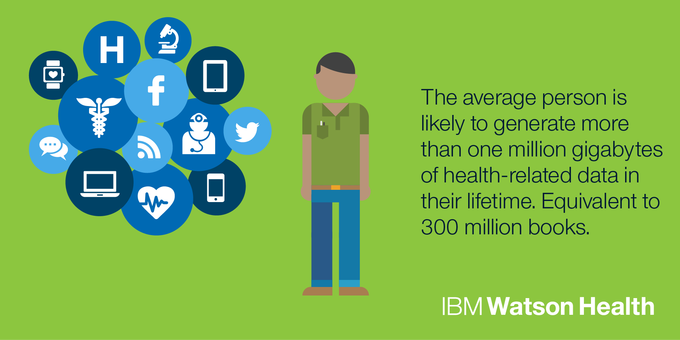 OPEN LETTER TO IBM Watson Health: Is It Too Late for Patients to Drive This Initiative? I’m psyched about the launch of IBM’s Watson Health Business Unit. Now that I spend about 50% of my time in the healthcare world working on customer co-designed health and wellness initiatives, I’m very interested in technology advances that will improve the lives of patients and their caregiver partners. However, I’m concerned that IBM is following the money and may be missing an opportunity to really innovate to create patient-friendly and patient-centered solutions. On Monday, April 13th, IBM announced a series of interconnected announcements laying out its growing health information ecosystem. This is a really smart place for IBM to be investing and leveraging its AI, cloud computing, security, and mobile technologies. By being a trusted custodian and aggregator of patients’ health information, and using the insights gleaned from Watson’s pattern matching and inference engines, IBM could speed up accurate diagnoses and spot patterns that contribute to breakthrough research. But I’m not convinced that patients are at the center of IBM’s thinking. It sounds like a Zopa-like company might become the world’s largest lender (investor? ), without any capital. I agree with Jeff’s observation that something profound is going on here. P2P in Finance. I just returned from Africa, where P2P money-swapping via mobile phones is ubiquitous. The primary form of banking for most families is Savings and Credit Associations (SACCOs) that are formed by groups of villagers in every community. People put in a few dollars each week, and borrow money at interest from the kitty when they want to buy a pig or fix their roof. At the end of each year, the profits are distributed out based on the amount each person has saved/invested. This tried and true model has been flourishing for decades in third world countries. Zopa and other online savings and loan enterprises around the world are an electronic equivalent of a “spread the risk” model that has been well-proven. Every mobile network in Uganda lets you move money from your phone to someone else's phone. 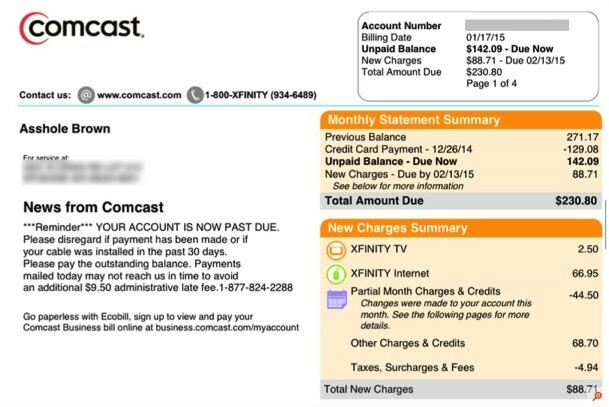 The most recent Comcast customer experience debacle—changing a customer’s name to A**hole on their bill—has been widely tweeted and commented upon. Ronni Marshak digs deeper. What’s wrong with the culture that engenders these customer insults? What business processes has Comcast established that leads its customer service reps to the kind of melt down that takes the entire company down? Ronni’s conclusion? 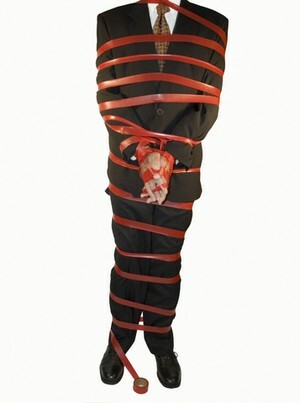 If your business process doesn’t make it easy for customers to cancel their service when they actually need to do so, but instead incentivizes employees to keep customers buying services they no longer need or can no longer afford, then you’re creating a pressure cooker environment that will yield explosive results. If you would like to receive our weekly customers.com emails, click here. Why Not Let Customers Help Create Your Objectives? We all know that you get what you measure. When we experience a dysfunctional organization, we know that we should be suspicious of the objectives that managers and employees are motivated to achieve. In fact, based on the experiences we’re having, we can often guess at the firm’s compensation structure and/or culture. Here’s one example that is top of mind for me: Someone hit my car when it was parked. Their insurer was GEICO. Within 30 minutes of the accident, GEICO called me, told me they were taking responsibility and arranged for appraisal and repair. GEICO is obviously optimizing rapid claim settlement for “no brainer” claims. There’s been a lot of discussion about how broken our healthcare system is. We pay for transactions, not outcomes. Physicians are measured on their “productivity,” e.g., how many patients can you see (and bill for) in a day? Hospital staff are rewarded for getting patients out of beds as quickly as possible, but fined if that patient winds up back in the hospital within 3 weeks. Vince Accardi on Can Microsoft Claw its Way Back into Relevancy? Humayoun kabir on How Viable Is the Apple Pay Ecosystem? Frank StMaly on What’s the Problem with CABs? Too Little Listening; Too Many Presentations! Jon on Blackberry’s Fate? Why Not Ask the Customers? Reframing the Broken US/EU Data Protection Safe Harbor Agreement as a "Privacy Shield"
Can Microsoft Claw its Way Back into Relevancy? Will Xiaomi Stop the iPhone in China? Get the Outside Innovation widget and many other great free widgets at Widgetbox!